The Batch of 1986 pays tribute. 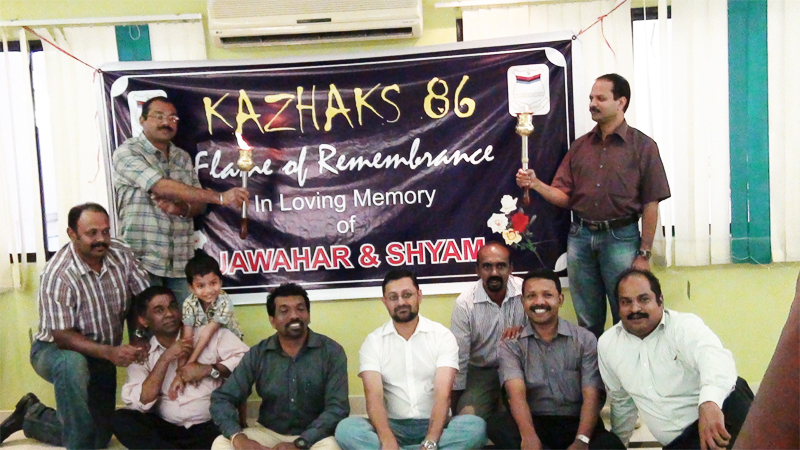 Members of the Class of 1986 from Sainik School, Kazhakootam, carried out the lighting of flame for the Flame of Remembrance in memory of their departed classmates – Jawahar N Rao (1626) and Shyam R J (1654) – at Kochi on 29 December 2011. A small function was organised in the afternoon at Petro House, Kochi. It was a solemn function that helped relive the memories of their batchmates who are no longer with them. It has also been decided that the Batch’s contribution towards the construction of the flame at school will be handed over to the Registrar of the school by the Batch Representatives at the earliest. – Courtesy : Lt Col Sri Kumar M / R No 1632/ Class of 1986.